The Seas with Nemo and Friends is home to the second largest aquarium in the country. I was giving a tour here today, and noticed some fun photo opportunities. 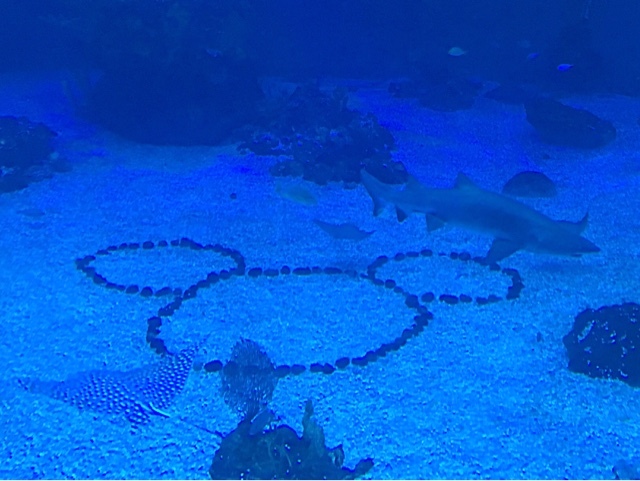 In this shot, you can see the rock-formed hidden Mickey, along with a shark and spotted Ray.